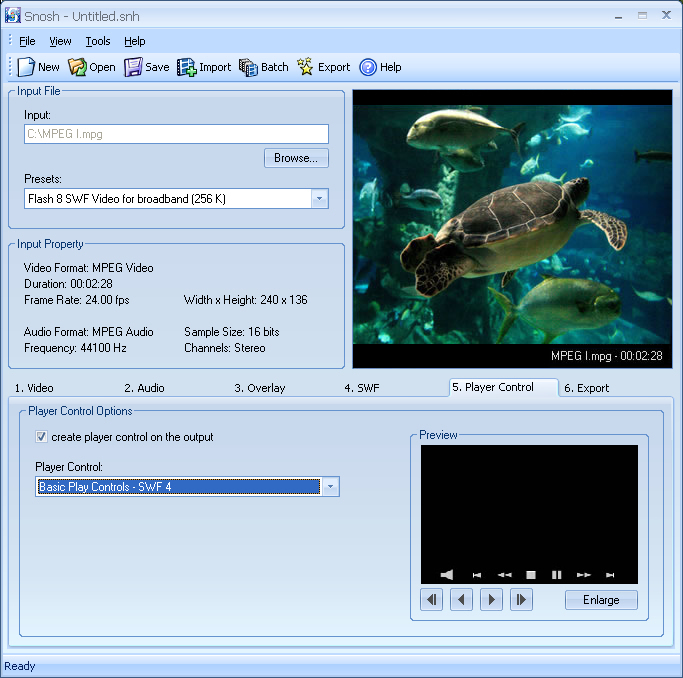 Snosh lets you convert your video, audio and images into Flash 8 (SWF/FLV), Flash MX (SWF/FLV), Flash Vector (SWF), HTML, MP3, WAV and Windows Projector Executables.
" 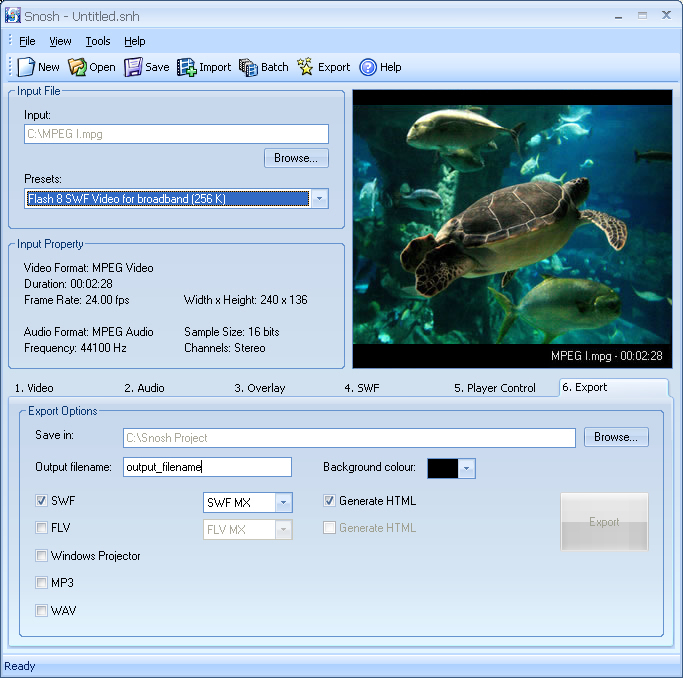 Snosh is a powerful conversion tool that allows you to convert video files, audio files and image files into Flash files (SWF and FLV), MP3, HTML, WAV and more. Using this program, you will be able to convert your files so that they can be uploaded to any website. " 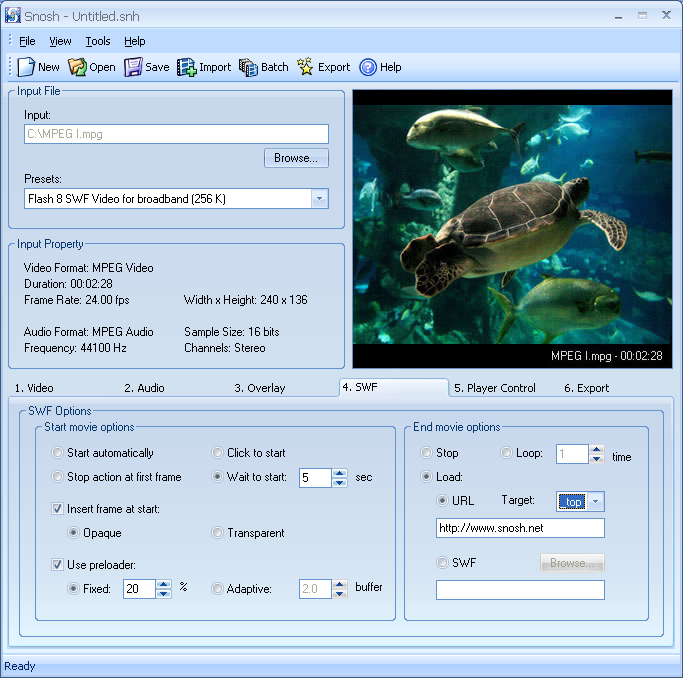 Support popular and commonly used video, audio and image formats. 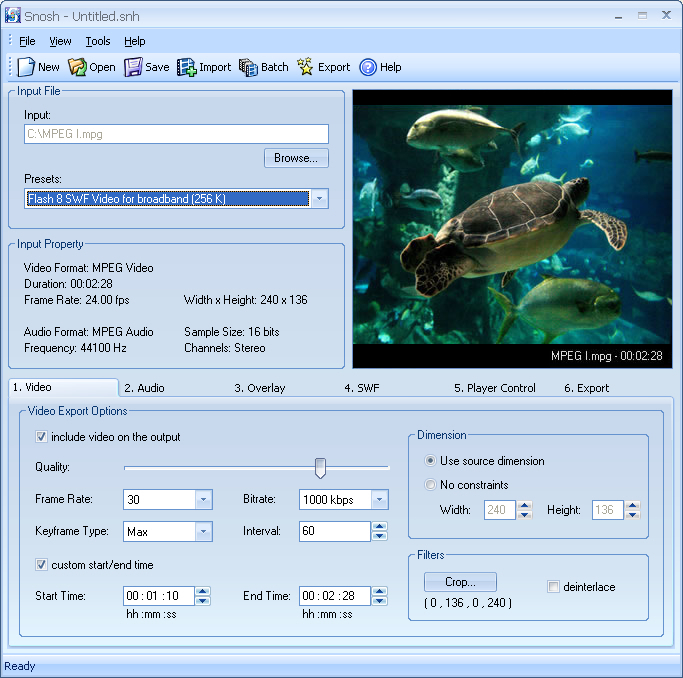 Customize the flash video conversion quality, frame rate, bitrate, width, height, deinterlace and also cropping area. Set the custom start and end conversion of the flash video. Customize the flash audio conversion by adjusting the sampling rate, bitrate and channel. Play / Preview Video, Audio and view Images. 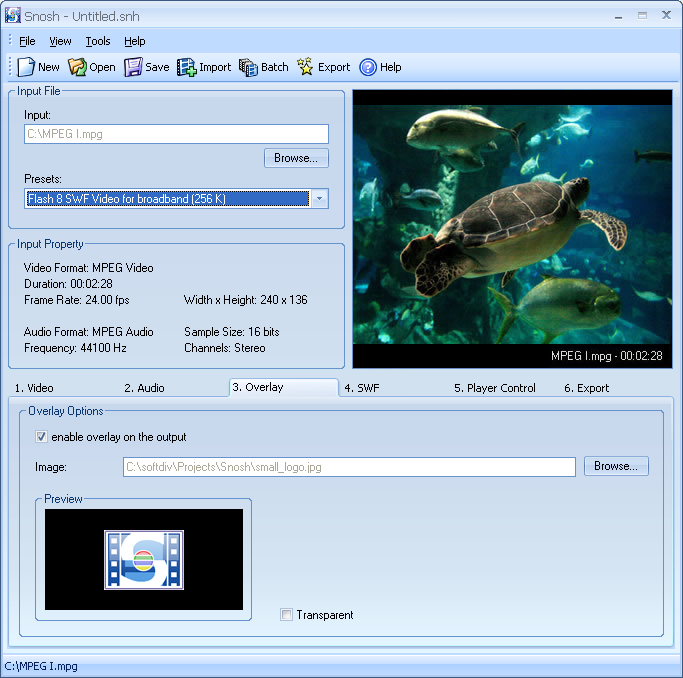 Add logo and watermark on the output flash video. With so many features offered, Snosh provides the most complete and powerful solutions for your flash video conversion. Insert swf events for the converted flash. Available events are start / end events, looping, preloader, insert frame, load html / swf. Create player controls for the converted flash video. Available player controls include play, stop, pause, forward, backward, and volume control. 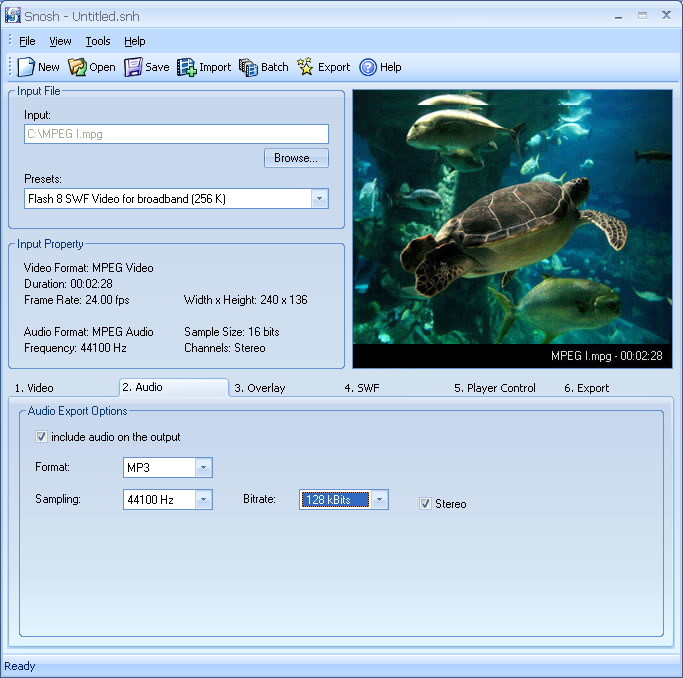 Export as output Flash SWF, FLV, HTML, Projector, MP3 and WAV. Batch conversion is also supported.